Three months have passed since the devastating earthquake rocked Nepal and its aftershocks shook surrounding locations. The Red Cross is still there providing relief and helping to rebuild. 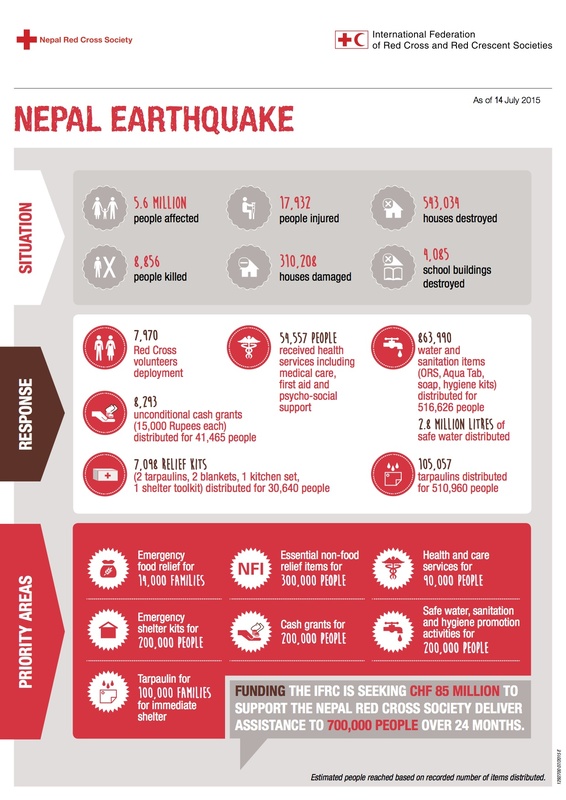 On April 25, 2015 Nepal was severely impacted by a 7.8 magnitude earthquake, which took the lives of many and left others homeless and in a state of helplessness. 5.6 million people were affected, and of that number 17,932 people were injured and 8,856 people were killed. On top of the loss of lives 543,034 houses were destroyed. To date nearly 8,000 Red Cross volunteers and staff have been deployed, and more than $13.6 million have been spent or committed to emergency relief and shelter and cash distribution. 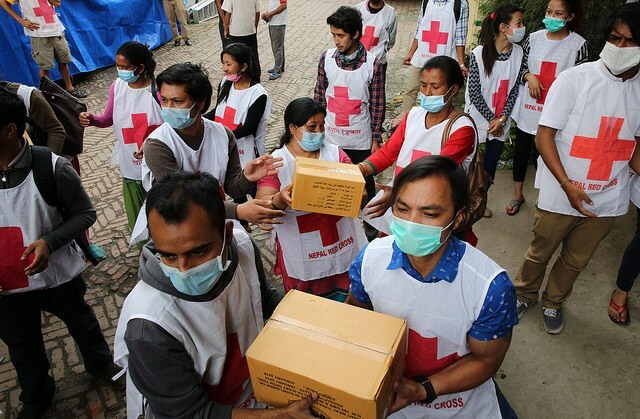 With generous support and donations we have provided health services including medical care, first aid and psychosocial support; we’ve distributed more than 2.8 million liters of safe water, and more than 7,000 relief kits and hygiene kits have been distributed to Nepal survivors. This natural disaster was one of the largest to strike Nepal since 1934, and we will continue to do all that we can to assist with the restoration and rebuild of Nepal. Our primary areas of focus are food, water, shelter, health care and cash grants. We are confident that we can extend our hand to aid in relief efforts.